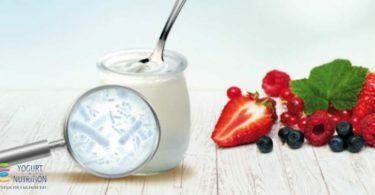 Yogurt, and in particular, protein-rich yogurt is an example of a nutritious food that, when eaten as a snack, has been shown to increase satiety between meals in a number of studies. 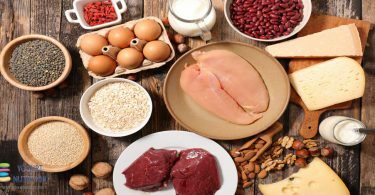 There is now emerging evidence on reduction in risks of Type 2 diabetes. 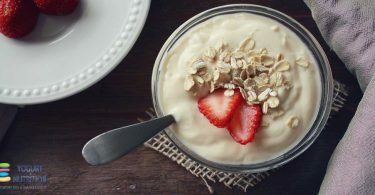 Researchers found that total dairy consumption had no association with the risk of developing Type 2 diabetes, but that high consumption of yogurt was associated with a lower risk. 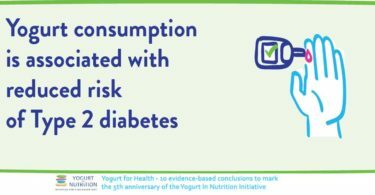 A 28g serving of yogurt per day was associated with an 18% lower risk of Type 2 diabetes. 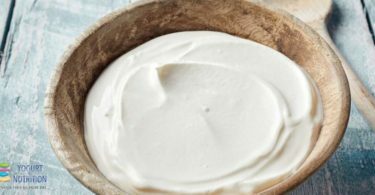 Another study showed that higher consumption of low-fat fermented dairy products, which include all yogurt varieties and some low-fat cheeses, also reduced the relative risk of diabetes by 24% overall. 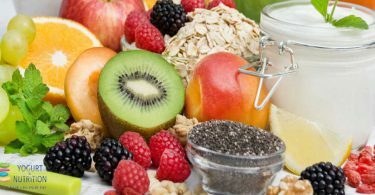 Do dairy foods lower our risk of diabetes? 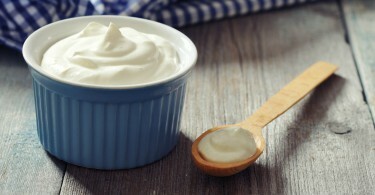 How might yogurt reduce T2D risk?